What does the day of your birth say about you? Camila Gargantini has a lot to share about birthdays through the lens of her camera and the pages of her soon-to-be published book, The Birthday Book Project. Over the last year, she has set out to create an epic book of 366 portraits, with each person representing a birthday—their own birthday—for every day of the year, including February 29th. When we last met Camila, she shared the stories behind the shots of her three favorite portraits featured in the book. Today, we’re checking back in to see how she’s doing with the project. But truly, the most awe-inspiring thing about this project is how it captures the process of collaboration, between her and a team of 11 talented photographers, and also with her portrait subjects to capture a single photo that best tells their life stories. 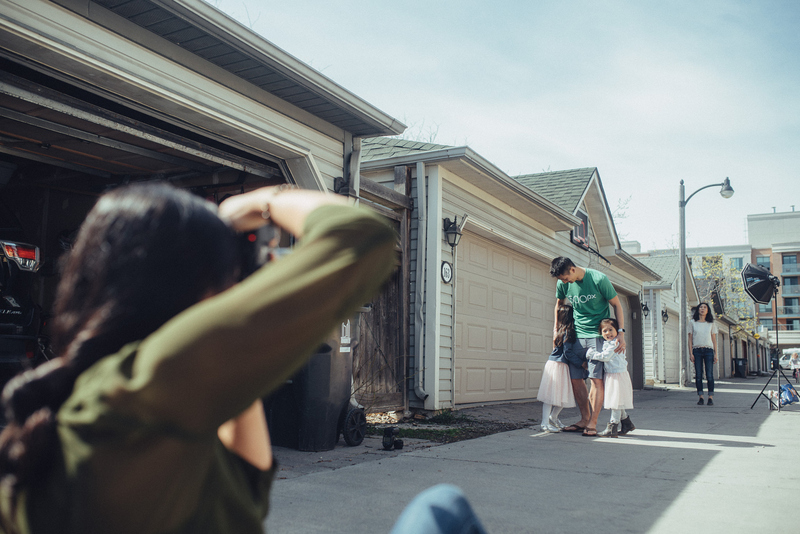 So we tagged along with Camila and her subject of the day—our very own CEO Andy Yang—to get a behind-the-scenes look at how this process looks like and to see how a photo shoot for The Birthday Book Project comes together. Joining us were our two content editors Natta Summerky and Janet Kwan, who captured some behind-the-scenes shots. Below, Camila takes us through her own thoughts and stories about her portrait shoot. Read on to see how an ambitious concept and various players in a portrait photo shoot all come together, and get inspired to start your own photo project! To read Camila’s interview with her portrait subject Andy, she wrote up this blog post. To learn more about The Birthday Book Project, visit the official website, Facebook page, or Twitter feed.